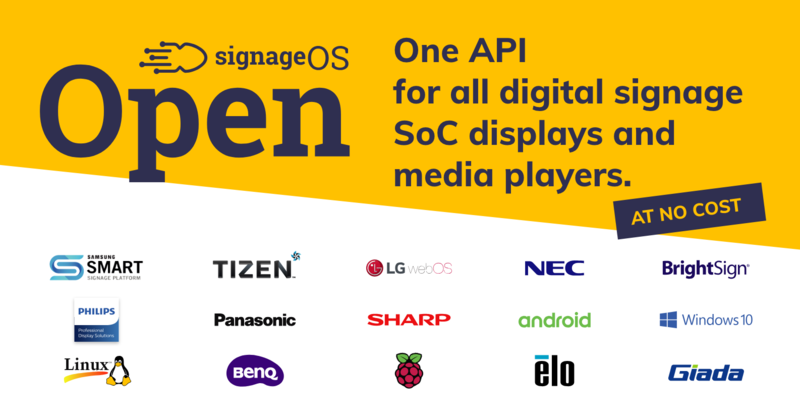 The launch of signageOS Open is finally here! We are extremely excited to get companies started using this innovative technology. So, how does this happen? We will be releasing portions of signageOS Open in waves. 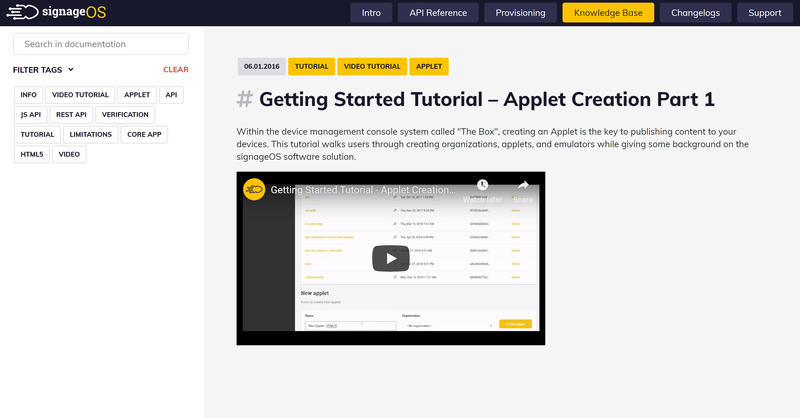 This is to allow companies to explore the proprietary code and familiarize themselves with our framework before deploying devices with signageOS integrations. Also, this better prepares companies for using signageOS Open long-term. Below is an outline for the launch and release of signageOS Open. We are currently in Step 1 and will progress as companies familiarize themselves with the signageOS technology. You can expect Step 2 to be released in 4 weeks which will then allow you to proceed to Step 3 & 4 immediately. Specific parts of the signageOS Documentation related to signageOS Open are now available. Once you log into the signageOS Open Documentation, take some time to explore the framework and developmental logic. 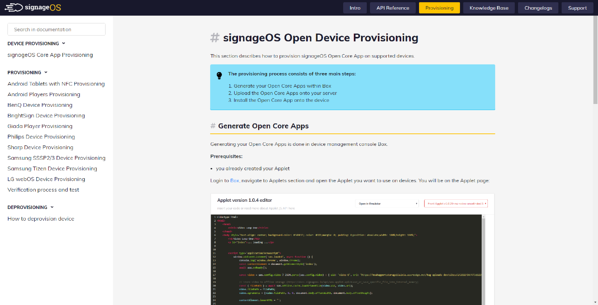 Inside the current signageOS Open documentation, you will find information on the unification API, changelogs, and images to assist in development. 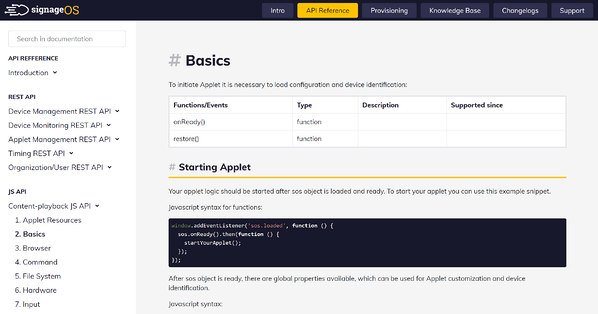 Changelogs include changes to the API, front-applet, front-display, and device integrations. Device provisioning or deprovisioning according to device type and desired functionality. Additional Knowledge-base information regarding compatibility, tutorials, use-cases, etc. Provisioning and deprovisioning devices is done through the signageOS Box (device management console). This process is very straightforward but varies according to the hardware that is being provisioned. Within the documentation are step-by-step instructions for connecting each device with signageOS. The last thing to do is to build diverse networks of varying hardware and profit. signageOS Open requires some development time but offers tremendous potential to CMS companies. Support is not included to those using signageOS Open. We have provided the tools to build and now it is up to you to complete the task. However, in case you experience any issues, signageOS can assist and provide paid support. If support is needed, contact support@signageos.io and we will contact you regarding available support plans for signageOS Open.